We played Carpe Diem last night, one of Stefan Feld's releases and it got me thinking. At heart, it is a tile laying game, but it has a lot more to offer than something like Carcassonne. It’s amazing how games that share the same mechanic can be totally different. So, todays 5 for the 5th looks at our favourite game mechanisms! 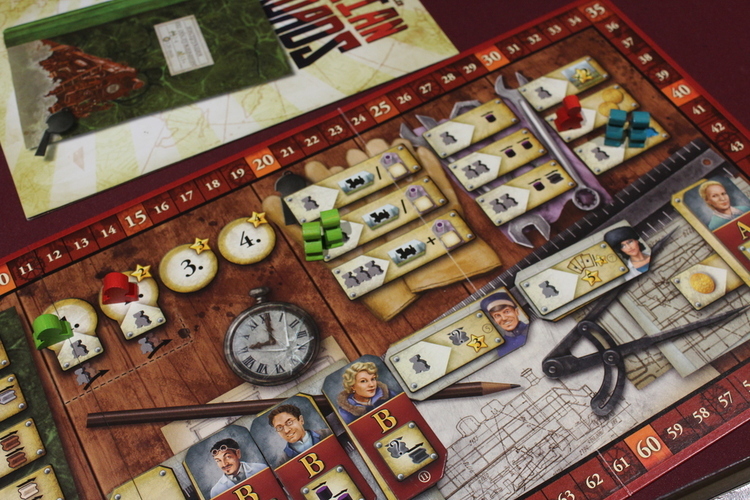 Beware, I am going to be using the term ‘usually’ a lot as many games have exceptions to the standard rules of these mechanisms, and that’s just what makes gaming so much fun! Often jokingly referred to as ‘worker denial’ or more seriously ‘action drafting’. Worker placement usually involves having a pool of workers that you use to select actions from a pool available to all other players. Players select actions one at a time and in turn order. Usually there is a limit to the number of times an action can be taken, or a penalty for subsequent placements on a space, leading to blocking - hence the term ‘worker denial’ and leading to cries of ‘did you have to do that?’ Usually, all workers are collected at the end of a round meaning all spaces are available again so going first can be critical in worker placement games. Some games allow you to ‘bump’ workers off a space giving them bonuses or extra actions eg. Chimera Station, Microbrew, The Gallerist which is a nice twist. 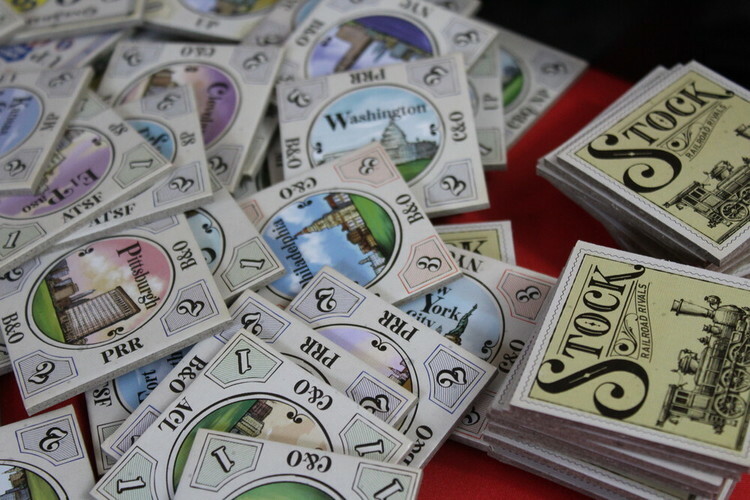 In some games, workers may even be dice with numbers determining where you can place and priority on activation of spaces. Some well known examples of worker placement games include Lords of Waterdeep, Agricola, Russian Railroads and Anarchrony. We’ve spoken about deck builders before on the 5 by 5 and some of the different varieties that are out there. Usually, players start with a small pool of limited cards that provide a range of limited abilities and/or resources. Deck builders, are at heart, engine builders, as you use your starting, limited resources and abilities. Over time, players build decks that are more developed/specialised in an attempt to win the game. This is usually gaining attack strength or coins in order to gain points. 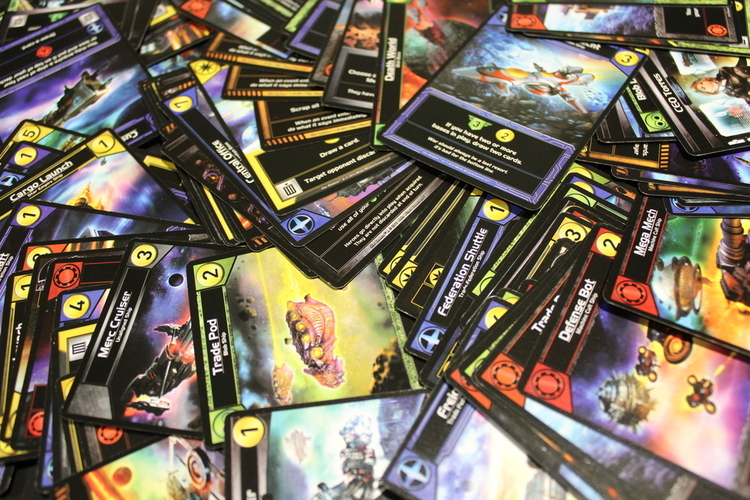 Attacking may be other players in the case of Star Realms or creatures from the main deck in the case of Ascension. In the case of Dominion you are trying to buy points cards with coins. Deckbuilders can be simple and small, like Shards of Infinity or may involve the use of a board, in the case of Tyrants of the Underdark, there is also an area control element. They are also one of a few mechanics that work well at all player counts, Dominion is a constant favourite here for just that reason! Carcassonne was one of the early ‘modern’ board games back in the 90s and has remained a firm favourite, spawning countless expansions and promo tiles since then. 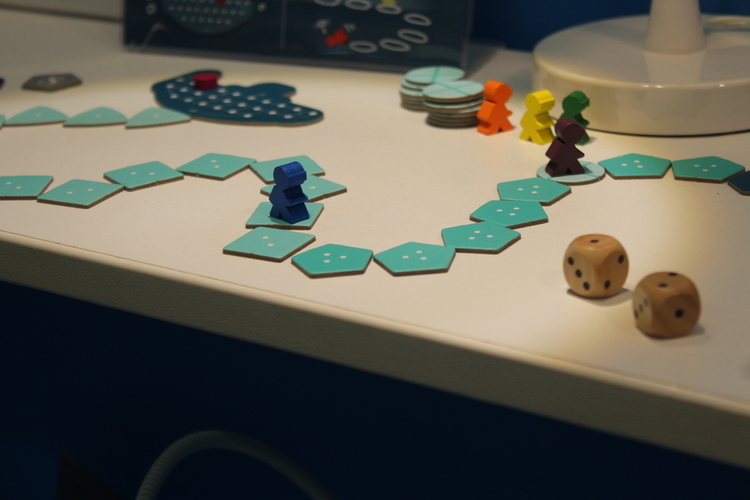 Tile placement games have advanced significantly since then but still revolve around a similar principle. Draw a tile (sometimes randomly, sometimes chosen) and place it. Usually aiming to complete groups of the same feature, colour etc. In the case of Carcassonne, you are trying to complete roads, rivers or towns. You may be placing tiles on a communal site or on an independent tableau as in Alhambra. Other games add extra elements such as in the case of Isle of Skye you must pay coins to gain tiles. Essentially all tile placement games are a kind of puzzle, fitting the pieces together to form a tableau that scores you as many points as possible. The best thing about them is the range of complexity, ranging from something quite basic like Carcassonne, through to the previously mentioned Carpe Diem, that had me scratching my head at times! Lets face it, we all like having a bit of a flutter, and that’s just what push your luck games are about, without the risk of losing money! Usually, push your luck games involve repeating the same (or similar) action until you decide to stop. The may result in you getting more points or risking getting any at all. It’s all about risk assessment! Obviously, old school games like blackjack and pass the pigs are, at heart, push your luck mechanisms. Whereas modern day examples like Celestia, Incan Gold and Deep Sea Adventure use the same mechanics in a far more advanced way. These are the sort of games I either do really well at or finish the game with zero points, never any in-between! A common mechanic, used in card games throughout the ages, trick-taking is all about winning that particular group of cards aka the ‘trick’. Each player takes it in turns to play card(s) from their hand face up. This group of cards is the trick. Usually the aim of trick-taking games is to win these cards, or in some cases to avoid winning them! The most common way to win a trick is by having the highest value card of the suit that was initially played, however, a lot of games will have a ‘trump’ suit that will automatically beat anything. 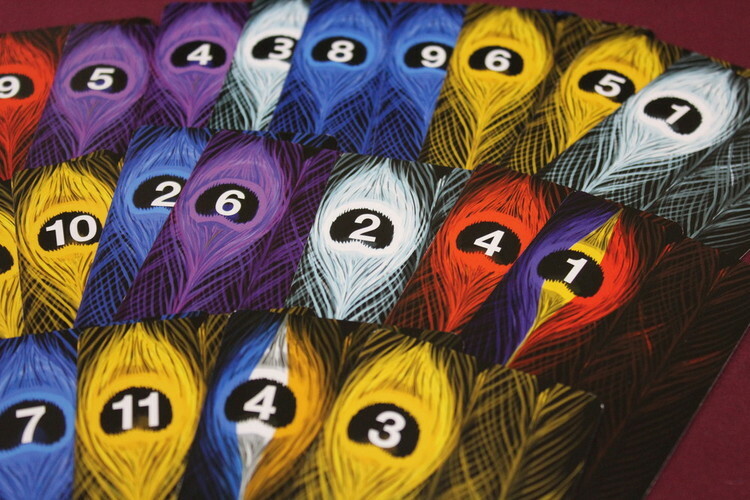 Trick Taking games have got weird and wonderful of late including Pikoko where you can’t even see your own hand and Custom Heroes where you can upgrade cards to get exactly what you want, though remember they will be dealt out to everyone in the next round! However, For Sale with it’s fairly standard formula still gets a lot of love in our house! These are some of our favourite mechanisms - what are yours and what game implements it in an unusual way?